Our wakame seaweed is wild craft harvested on the Tasmanian coastline and air dried to retain its full flavour. Our Australian sea salt is harvested from the Australian coastline and is unrefined and unbleached so it retains all the essential nutrients. 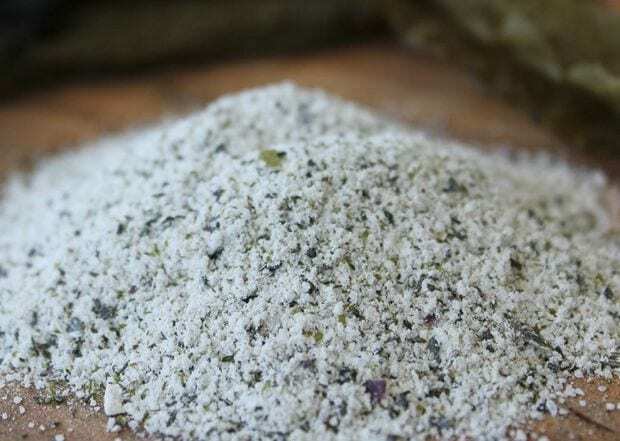 Seaweed salt is the perfect seasoning for any dish to reduce actual salt consumed but to add a concentrated salty flavour. The benefits of seaweed to reduce salt intake in your diet are well researched with the U.K. leading the way in commercial manufacturing to reduce sodium in processed foods by substituting seaweed.